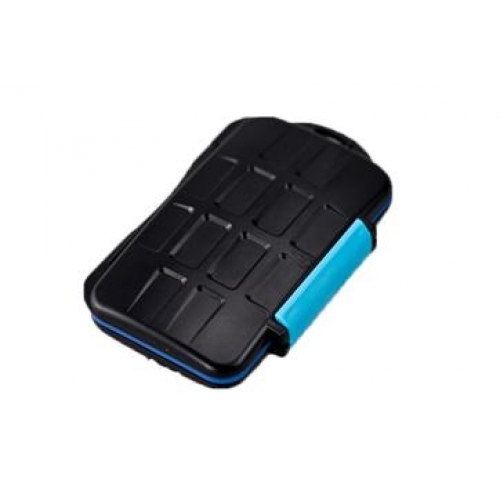 This sturdy, waterproof memory card case able to carry and store 8 PCS SecureDigital (SD) memory or 4 PCS CompactFlash (CF) cards. It made of tough Polycarbonate resin. 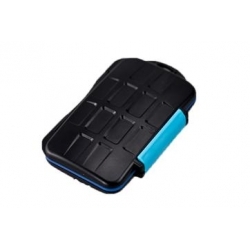 The inner liner absorbs shock and protect the cards from almost any harm such as impact, dirt, moisture or water.